In this activity, 2 renowned experts discuss a 48-year-old obese female patient with hypertension who presents with symptoms of urinary urgency. Discussion centers on strategies for making a definitive diagnosis of OAB, variances in OAB presentation, the impact of comorbidities on symptoms and treatment, and strategies for effective patient-provider communication. 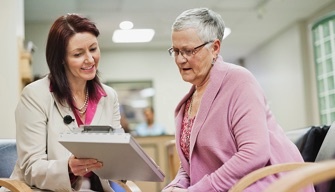 In this activity, a urologist and a primary care provider discuss care options for a 69-year-old woman with various health comorbidities who has been experiencing OAB symptoms for the past several years. The faculty review evidence-based options for alleviating persistent bladder symptoms in this patient, as well as considerations for the selection of therapy. Four international experts discuss optimal approaches to identify and treat OAB, considering practice variations in the US, Europe, and Asia. The conversation includes a review of available and investigational pharmacotherapies for OAB, practical methods for assessing symptoms, how to discuss urinary health with patients, and implementing behavioral interventions. The American Urological Association and the European Association of Urology recommend a number of non-invasive options to help reduce OAB symptoms, including bladder training and behavioral training. This case covers a breadth of recommended lifestyle changes and behavioral techniques that can be effective in patients with modest new-onset OAB. A combination of therapeutic modalities—from behavioral modifications to pharmacologic interventions—is often needed for older patients with OAB. This case report describes in detail treatment selection and the adjustments that clinicians often must consider when managing older patients with OAB who present with multiple comorbidities. 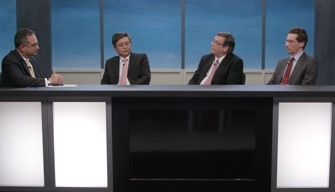 Patient-Provider Dialogues features highlights from a recent discussion between a panel of 4 renowned, international OAB experts and a patient with OAB. The group utilize the patient's experience to discuss why so many patients with OAB go undiagnosed and untreated, and provide their insights on the appropriate course of care for the patient. 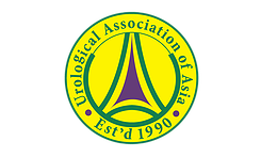 Overactive Bladder Diagnosis and Treatment of Overactive Bladder in Adults: AUA /SUFU Guideline (2012); Amended (2014) For Primary Care Providers. European Association of Urology. EAU guidelines on urinary incontinence. Accessed May 11, 2017.
International Continence Society. Evaluation and treatment of urinary incontinence, pelvic organ prolapse and faecal incontinence. Accessed May 11, 2017. Association of Reproductive Health Professional. A Quick Reference Guide for Clinicians® Diagnosis and Management of Overactive Bladder. CDISC. Overactive Bladder Questionnaire Short Form (OAB-Q SHORT FORM). Homma Y , Yoshida M , Obara K , et al. Symptom Assessment Tool for Overactive Bladder Syndrome - Overactive Bladder Symptom Score (OABSS). Chapple CR, Kelleher CJ, Evans CJ, et al. A narrative review of patient-reported outcomes in overactive bladder: what is the way of the future? Eur Urol. 2016;70:799-805. Drake M, Chapple C, Esen AA, et al. Efficacy and safety of mirabegron add-on therapy to solifenacin in incontinent cveractive bladder patients with an inadequate response to initial 4-week solifenacin monotherapy: a randomised double-blind multicentre phase 3B study (BESIDE). Eur Urol. 2016;70:136-145. Dhaliwal P, Wagg A. Overactive bladder: strategies to ensure treatment compliance and adherence. Clin Interv Aging. 2016 Jun 3;11:755-760. Kim TH, Lee KS. 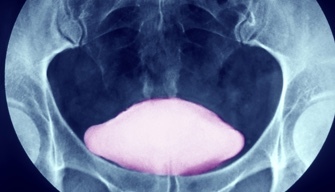 Persistence and compliance with medication management in the treatment of overactive bladder. Investig Clin Urol. ;2016;57:84-93. Rashid N, Vassilakis M, Lin KJ, et al. Primary nonadherence to overactive bladder medications in an integrated managed care health care system. J Manag Care Spec Pharm. 2017;23:484-493. Rosenberg MT, Witt ES, Barkin J, Miner M. A practical primary care approach to overactive bladder. Can J Urol. 2014;21 Suppl 2:2-11. OAB Patient-to-Patient features an actual patient with OAB who shares her experiences with diagnosis and treatment. The 49-year-old tells of practical challenges dealing with everyday activities while accommodating OAB, and of her emotional anguish of feeling alone and resigned to living with worsening symptoms the rest of her life. By relaying her story, she hopes to encourage other individuals with OAB symptoms to talk their doctor—and to let them know help is available. The Female Patient. What you need to know about Overactive Bladder Syndrome. Urology Care Foundation. Overactive Bladder patient guide. The Ask the Expert message board provides you with the opportunity to ask questions that may come up in your practice while managing OAB during or after your participation in these online programs. Enter your question in the submission box and a response from Dr. Matt Rosenberg may be published to the OAB Learning Center. If you have multiple questions, please enter them all at once. Are Kegel exercises helpful for overactive bladder (OAB)? If so, how often should patients perform them? That's a very good question. While there's been some debate as to the efficacy of Kegels for OAB symptoms, in my opinion, these exercises can certainly help strengthen bladder muscles and improve bladder control. A 2013 article by Burgio that was published in Current Urology Reports analyzed results from programs that incorporated pelvic floor muscle training into treatment regimens for OAB and incontinence. The analysis found that these exercises are effective for incontinence as well as for urgency, frequency, and nocturia. They can be combined with other treatment modalities and also hold potential for the prevention of bladder symptoms. The great thing about Kegels is that they can be done anytime, anywhere—for free. It certainly can't hurt patients to try them; if they work, great, if not, we can move on to other techniques and/or therapies. Are there any foods/beverages known to worsen OAB symptoms? One of the first things I try to do when I see patients with OAB symptoms is to get a sense of their daily fluid intake. Some people may not realize that they are actually drinking as much water, coffee, tea, soda, and other beverages as they are, and fluid overload can definitely contribute to symptoms of OAB. Caffeinated drinks can certainly increase frequency of urination; this is particularly true of many teas, which often contain herbs that can act as diuretics in addition to caffeine. Acidic foods, such as tomatoes, have been shown to exacerbate the symptoms of other disorders, such as interstitial cystitis (IC). Because IC and OAB are on the same continuum, I'll sometimes suggest that my patients with OAB follow a diet recommended for individuals with IC to see if it helps with their symptoms. Are there any prescription drugs that can cause symptoms of OAB? Diuretics can definitely contribute to OAB symptoms. This is particularly true for patients who have a small-capacity bladder; if someone needs to void when his or her bladder storage reaches 100 mL, they're going to have to void more frequently if they take diuretic-type medications. In some patients, antihistamines and decongestants can inhibit the bladder's ability to completely expel urine, causing patients to try to urinate more frequently. Patients who are taking opioids may develop constipation, which in turn can worsen OAB symptoms. In general, patients with OAB should be advised to be observant of any emergent urinary symptoms upon initiation of a new drug and to promptly report these changes to their clinician. Is the side effect profile of the mirabegron/solifenacin combination better or worse overall vs that of mirabegron monotherapy? Results from the BESIDE study conducted by Dr. Marcus Drake and colleagues found that there were fewer adverse effects with the mirabegron/solifenacin combination. Patients were randomized to 1 of 3 treatments: a combination regimen consisting of solifenacin 5 mg plus mirabegron 25 mg for 4 weeks followed by mirabegron 50 mg for 8 weeks; monotherapy with solifenacin 5 mg for 12 weeks; or monotherapy with solifenacin 10 mg for 12 weeks. At least 1 treatment-emergent adverse event was reported by 36% of the combination group, 33% of the 5-mg monotherapy group, and 39% of the 10-mg monotherapy group. The most common events were dry mouth, constipation, and peripheral edema. It was noted that dry mouth happened much less frequently with combination therapy than with solifenacin alone. Can the symptoms of overactive and underactive bladder exist concurrently? We know more about OAB than we do about underactive bladder (UAB), which is a complex condition that often shares symptoms with other prevalent urologic disorders. The causes of UAB are multifactorial; thus, symptoms of the condition may overlap with OAB or bladder outlet obstruction. What is the link between obesity and OAB? What about smoking? There are some studies that show that the presence of obesity raises the risk for OAB. Personally, I have a hard time tying the 2 together. Patients who are morbidly obese, however, may have mobility problems; for these individuals, getting to and using the toilet may be difficult. As far as I know, there's no confirmed link between smoking and obesity but if you can convince patients that stopping smoking will improve their OAB symptoms, that's a "win" in my opinion. How can my patients address the side effects (eg, constipation, dry mouth) caused by some overactive bladder medications? Fortunately, most of the side effects from OAB therapies are self-limited and short-lived; if the patient can tolerate the effects, the body will usually accommodate within a week or two. If the side effects are particularly bothersome, there are strategies that can be used, such as use mouth moisturizers in patients with dry mouth and laxatives in those with constipation. After a couple of weeks with no improvement of side effects, I will usually change the patient's therapy. At what time of day should I advise patients to take OAB medications? It doesn't really matter what time the medications are taken. Adherence is critical, though, so I suggest that patients take it at the same time every day. Are patients with constipation more likely to experience OAB? Patients with chronic constipation are more likely to have lower urinary tract symptoms (LUTS) due to the increased pressure on the bladder. If you improve the constipation, that should improve the LUTS. How long does it usually take for the various OAB treatments to work? If a treatment is going to work, it will usually happen within the first week or so; in some cases, it may take a bit longer. I like to re-evaluate the patient 2 weeks after I start him or her on therapy; at that point, I can titrate the drug if the responses is insufficient and also address any side effects that the patient may be experiencing. When should patients with OAB be referred to a specialist? That really depends on the comfort level of the PCP. 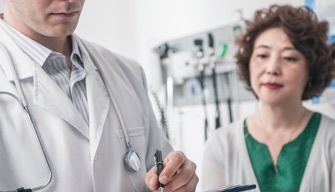 Some clinicians are uncomfortable even making a diagnosis, while others may be willing to try several treatments before referring refractory patients to a urologist. If someone has a "red flag" symptom, like blood in the urine, you might consider referring him or her sooner. What is the evidence for biofeedback to relieve OAB symptoms? There is very strong evidence for biofeedback to improve OAB symptoms. The technique can help patients gain control of their bladder and the muscles used in urination. There is a global need for quality clinical education about overactive bladder (OAB). To address that need, four prestigious urology organizations from the United States, Europe, and Asia have collaborated with Global Education Group and HME on this initiative, which will convey best practices in the diagnosis and treatment of OAB across geographical boundaries.